Posted by Geoffrey Hiller in Greenland. Andrea Gjestvang (b. 1981, Norway) is a Norwegian photojournalist based in Berlin. While living in Oslo, she worked for several major Norwegian newspapers and magazines. In Berlin she is a freelance photographer with the Norwegian Newspaper Verdens Gang, and a member of Moment Agency. She spends most of her time travelling around the world on assignments or working on her own projects. Two years ago Andrea made her first expedition to Greenland, and started what has become a long-term project: Greenland – Disappearing Ice Age. About how climate change influences everyday life of village communities in Greenland. Morgan Hagar (b. 1975, United States) is an independent documentary photographer based out of Los Angeles, California. He studied at Brooks Institute of Photography in Santa Barbara, California and was the first to graduate from the renowned Visual Journalism program. While in school he held a staff photographer position at the Santa Barbara News-Press and shortly thereafter became Photo Editor at the Ventura County Reporter. Since then, he has devoted much of time to personal projects, which have garnered awards and international recognition. His work has been shown in various print publications and throughout the web as well as in solo and group exhibitions. For years I have dedicated a great amount of my time and effort traveling throughout the world to cover topics that interest me personally. Many of those topics included the problems of other nations, other peoples. More recently, I have turned my focus inward, to my home, my backyard, to America. If there is great change afoot in America, like so many speak of, I feel now is the perfect time to document this nation and its culture. This image was produced while photographing the “Blessing of the Animals,” a tradition held in downtown Los Angeles by Cardinal Roger Mahony. Here, two girls wait for their chance to dance for the thousands of onlookers that came out that day. There was a small parade, local food and dancing much like any festival held throughout the country. I was not on assignment, I was just curious to learn about a small part of my city’s culture, its history and share that knowledge with others. That, to me, is true documentary photography. Asim Rafiqui (b. 1966, Pakistan) is an independent photographer based in Stockholm, Sweden. He has been working professionally since 2003 and began by focusing on stories from Afghanistan and Pakistan while also pursuing personal projects that focused on issues related to the aftermath of conflict. This focus has led him to produce work from Iraqi Kurdistan, Haiti, Israel and the tribal areas of Pakistan. He has also regularly shot assignments for magazines like National Geographic (France), Stern (Germany), The Wall Street Journal Magazine, Newsweek, and Time (USA, Asia). He authors the blog site called The Spinning Head, and also the essays that accompany his later India work at The Idea of India. Editors Note: Asim was the 2009 grant recipient of the Aftermath Project, a yearly grant competition open to working photographers worldwide covering the aftermath of conflict. The deadline for the 2010 cycle will be November 2nd. Check the web site for details. Posted by Geoffrey Hiller in Russia. Guy Martin (b.1983, England) graduated from the University of Wales in 2006. He began pursuing long term projects, one of which ‘Trading over the Borderline’ won him the Guardian/Observer Hodge student award. His other projects include work in: Georgia, Sudan, Uganda, Turkey, Northern Iraq, Russia. His photographs have appeared in the Guardian, Observer, Sunday Times, FADER Magazine, the British Journal of Photography amongst other publications. In 2007 and 2009 Guy was named in the MAGENTA foundations top emerging photographers. In 2008 he also had work from his Cossack project shown in the National Portrait Gallery. Guy is now based in Cornwall, England, continuing his work on personal projects and freelancing for national and international magazines. He is represented internationally by Zuma Press. Posted by Geoffrey Hiller in Kashmir. Teru Kuwayama’s (b. 1974, Japan) photographs have appeared in magazines including Time, Newsweek, National Geographic, Outside, Fortune, and Vibe. His work on the Tibetan refugee diaspora received awards from the New York Foundation for the Arts, and the Alexia Foundation for World Peace, and have been exhibited at the Open Society Institute and at the United Nations. In 2004, Esquire magazine profiled him as among the “Best and Brightest” of his generation for his reportage on the occupation of Iraq. In 2005, PDN cited his work in Kashmir in a selection of the most iconic images in contemporary photography. In 2006 he received a Nikon Storyteller Award, a Days Japan International Photojournalism Award, and a W. Eugene Smith fellowship for his work on Afghanistan and northern Pakistan. He is the founder Lightstalker’s and is currently a Knight Fellow at Stanford University. Mike Tsang (b. 1982, England) was born to Chinese-Mauritian parents who had emigrated to the UK during the great Commonwealth influx of the 1970’s. This influence of Asian-European-African cultures has shaped both his photography and life. Mike’s life passion for photography eluded him for 23 years and led him through a career in the bustling world of Finance before he began assisting in London to a variety of different photographers. Amazing experiences traveling through Asia led him to settle in Japan in 2007 to connect more with the East. He began freelancing in Tokyo after receiving his own commissions across Asia. In 2009 he spent time in Africa on humanitarian and development commissions, culminating in a portrait project with the Dinka people of Sudan. His clients include BBC News Interactive, Tearfund, Cancer Research, WWF and a range of Japanese and Mauritian governmental and cultural agencies. Dave Jordano (b. 1948, Detroit, Michigan) received his degree in photography from the College for Creative Studies in Detroit in 1974. Moving to Chicago in 1977 he established a successful freelance photography studio and for 30 years he specializing in food and product photography, shooting major campaigns for national and international clients. Since his return to fine art/documentary photography, he received the Curator’s Choice Award in the Houston Center for Photography’s annual membership competition in 2004. and was a finalist in Photolucia’s 2006 “Critical Mass” national book award. His first book, “Articles of Faith”, was published by The Center for American Places at Columbia College in 2009. His work is included in The Museum of Contemporary Photography, Chicago, the Museum of Fine Arts, Boston, and the Museum of Fine Arts, Houston. Christopher LaMarca (b. 1975, USA) studied Environmental Studies and Biology at the University of Oregon, a degree that led him to pursue photographic projects documenting environmental issues. His work on the protection of old growth forests against logging garnered him numerous awards, including PDN’s 30 Emerging Photographers, PDN annual 2009 and NPPA’s Best of Photography. His Forest Defender project was featured in the 2006-2007 ICP triennial, Ecotopia; along with being published in both Aperture and Art Review. His first book Forest Defenders: The Confrontational Landscape, was recently published by PowerHouse Books. Posted by Geoffrey Hiller in Benin. Jean-Michel Clajot (b. 1971, Belgium) began his professional career with his first trip to Somalia. After a stint as a photographer for various newspapers, he worked the next 10 years for News Press Agencies in Brussels (Reporters Press Agency). In 2006, he concentrated on Africa. He believes there is much more to this great and unknown continent than war, Aids, hunger, poverty. In 2007, he signed up with Cosmos Photo Agency in Paris, France for worldwide distribution and as well as Aurora Photos for North American sales. He has been working for over three years on scarification in Benin. Posted by Geoffrey Hiller in Burma. Claudia Wiens (b. 1972, Germany) is a photojournalist based between Cairo and Istanbul, and she travels frequently to other parts of the world for her work. She contributes regularly to international publications such as Geo, BBC, Marie Claire UK, Colors among others. She is the author of two photography books, the recent one about Myanmar. 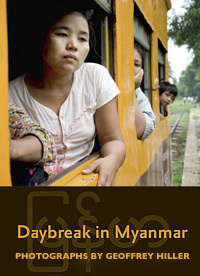 In 2006 she received a project grant from Kulturwerk for her book project about daily life in Myanmar, which she finished in 2009. Her work often portrays unfamiliar aspects of the Middle East, and has frequently been featured in exhibitions in Germany, Egypt, and England. She speaks fluent German, English and Arabic, and is currently studying Turkish. She is represented by Getty Images/Global Assignments. Posted by Geoffrey Hiller in United Arab Emirates. Philip Cheung (b. 1979, Canada) is a photographer based in Abu Dhabi and Dubai, in the United Arab Emirates. He has worked extensively in the Middle East and specializes in both reportage and portraiture. His clients include: The New York Times, British GQ, Getty Images, Le Monde, Monocle, Conde Nast Traveller, Macleans, The Globe and Mail and Das Magazin (Switzerland). In 2009 Philip was selected for the Magenta Foundation’s Flash Forward book for emerging photographers. He has also been awarded by Photo District News, Applied Arts, Coupe and the Abu Dhabi Authority for Culture and Heritage. Mathew Scott (b. 1978) was born and raised in Portland, Oregon. At age 21 he moved to San Francisco, where he eventually went to school, and in 2006, he graduated with a BFA in Photography from the Academy of Art. Whether in landscape or portraiture, his camera brings into focus the paradoxical tensions existing just under the surface of everyday life. The juxtaposition of two Americas- the urban and the rural- overlap (and compete) in his photography, as startling images elicit a struggle of dualities. With a throw away gesture, he gives us Yin and Yang, light and dark, compassion and sarcasm. Mathew currently lives in LA, where he continues to impart truths that to a lesser eye would go unnoticed. You can find his images within the pages of your favorite publications,and you can view his ever growing collection of Stock Photography sold exclusively through Veer. Posted by Geoffrey Hiller in Philippines. Ryan Anson (b. 1978, Kenya) is a freelance photojournalist based in San Francisco, CA. Anson grew up in Kenya, and since 1998, has worked in 20 African, Asian, and Central American countries. A recipient of several journalism grants and fellowships, including from the International Reporting Project (2005) and the Pulitzer Center on Crisis Reporting (2007 and 2008), Anson has published stories in a variety of magazines and newspapers such as The Washington Post, The New York Times, Newsweek, TIME-Asia, The Saturday Times Magazine (Times of London,) Smithsonian Magazine, and the San Francisco Chronicle. Anson is currently developing a multimedia project that features his many years of work photographing Southeast Asia’s diverse Muslim minority communities. In late 2001, I received a small seed grant and moved to the southern Philippines to document the various militant groups who have been waging both Marxist and Islamic insurgencies for more than three decades. My work initially concentrated on how the armed conflict routinely displaces local indigenous and Muslim communities. In 2003, I began to focus more on the Islamic culture of this part of the Philippines, a mainly Catholic country made up of 7000 islands and incredibly diverse regional cultures. I shot this image in early 2004 during a wedding near Davao City where a small Muslim minority group called the Kalagan people live amidst millions of Catholic residents. I was initially surprised that the bride let me in the changing room to spend time with she and her relatives as they applied the finishing touches to her dress and make-up. However, like many Filipinos in this region, Joanna and her family welcomed me as a guest and allowed me to photograph them in a very intimate environment. While there are pockets of conservative Muslim communities in the southern region of Mindanao, most families tend to blend a lot of Filipino customs and expressions of culture in their daily lives and sometimes in their practice of Islam.